Experiencing the Delaware in a kayak is an awesome solo adventure! When you are this close to the water you can feel the strength of the Delaware’s rapids! Plan on getting wet! 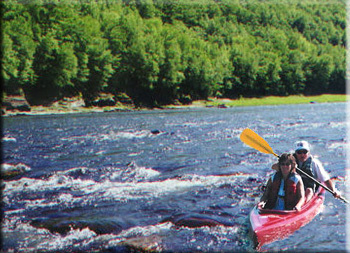 Kayaking is recommended for experienced river runners!